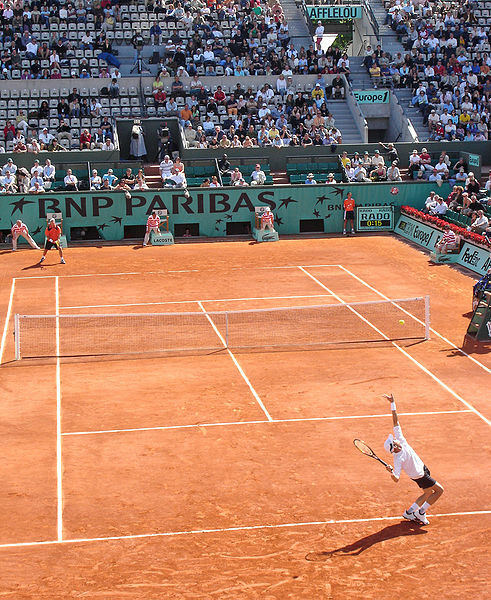 What a great week it has been at the French Open in Paris. As I write, I see that Serena Williams has just closed out Maria Sharapova in straight sets to regain the title she last held 11 years ago in 2002. The men’s final is set for tomorrow, with the incomparable Rafael Nadal facing his Spanish countryman David Ferrer after outlasting Novak Djokovic in an epic five-set semi-final match. Like many of this blog’s readers, I have been amazed and entertained by men’s tennis over the last decade. It truly is a golden era for the sport, with Federer and Nadal and Djokovic and Murray each seeming to outdo the other in feats of tennis heroics. Just yesterday Nadal made an amazing between the legs shot in the fifth set, but is that perhaps outdone by the amazing forehand Djoko ripped off Federer to save match point in the 2011 U.S. Open (going on then to win the semi-final)? The feats of athleticism these men achieve are truly astounding, but they can come at a price. As I have watched Nadal march through the competition this week, I have been reflecting on what a long way he has come from last year, when he was upset in Wimbledon and then had to withdraw from the Olympics because of the recurring knee problems that have plagued him for years and that many have attributed directly to his aggressive style of play. I don’t pretend to understand Nadal’s knee problems, and perhaps the readership can comment on this blog or contact me on the twitter feed @cjsmonline to help educate me. I have in my mind attributed the ‘problems’ to recurring patellar tendinopathy. I found this link on “Rafael Nadal’s Knees: A Timeline,” to be mildly informative as to how his 2012 season was affected by his recurring injury, but I have had difficulty finding a more comprehensive article covering all the years he has had issues, with a slightly more medical focus. So, if anyone out there in the blogosphere can point me in the right direction, I’d be most appreciative. 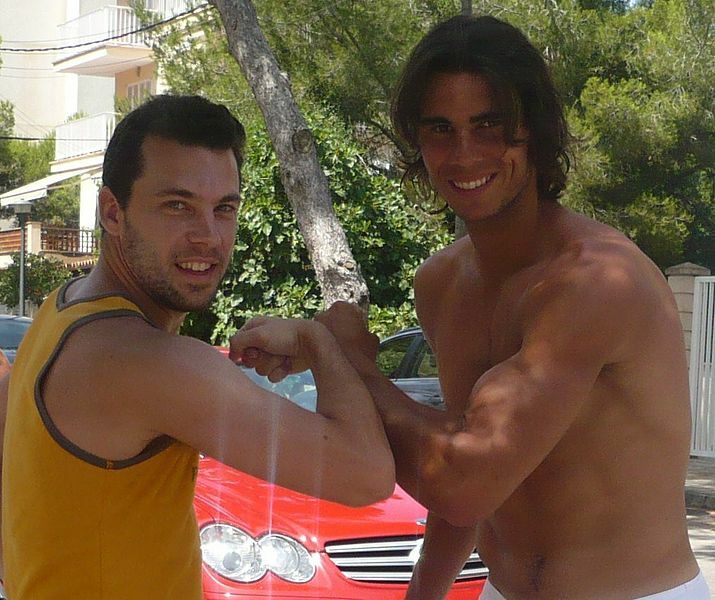 I do not understand Nadal’s problems to be secondary to degenerative joint issues, but as long as I have brought up the topic of ‘articles with medical focus,’ may I point readers to a great Case Report in the May 2013 CJSM: “Clinical and MRI Outcomes after Platelet-Rich Plasma Treatment for Knee Osteoarthritis,” authored by a group headed by Brian Halpern, M.D., including a friend of mine from USA Swimming, Scott Rodeo, M.D. I serve along with Dr. Rodeo on the USA Swimming Medical Task Force headed by Jim Miller, M.D. and greatly enjoy the work. I also greatly enjoy the Case Report series in CJSM, and a good example of this clinically relevant offering of the journal is the study by Drs. Halpern, Rodeo, et al. As the authors note, a number of approaches to managing early osteoarthritis (OA) have failed to reliably alleviate pain, restore normal knee function and anatomy, or to slow the progression of osteoarthritis. I treat pediatric and young adult athletes almost exclusively these days, and the last time I was actively managing OA was a few years ago, when I would be injecting corticosteroids or viscosupplementation with hyaluronic acid derivatives (done without ultrasound guidance)! The results of my treatment were always, well, meh (for the readers who may not be familiar with Yiddish a discussion of ‘meh’ can be found here). So, I am always eager to learn more about any current approaches to OA. The purpose of the study described in the Case Report was an investigation of platelet-rich plasma (PRP) in the treatment of early knee OA. The design was a prospective cohort study looking at 22 patients with early OA; follow up was one year. All patients had a baseline MRI demonstrating radiographic changes consistent with early OA: inclusion criteria were Kellgren grade 0–II with knee pain in patients aged 30 to 70 years. Outcomes included looking at changes in MRI findings, pain measures, and clinical and functional outcomes. Specifically, the authors looked at Visual Analog Scales (VAS) for pain, and used the well-regarded and validated outcome measure known as the Western Ontario and McMaster Universities Arthritis Index (WOMAC) to measure knee pain, stiffness, and ADL functioning. A total of fifteen patients ultimately completed the study and were evaluated at several intervals over the one year time frame. All the patients received a 6-mL platelet-rich plasma injection using the Cascade system. The authors found that pain scores significantly decreased, whereas functional and clinical scores increased at 6 months and 1 year from baseline (representing an improvement over baseline). Qualitative MRIs demonstrated no radiographic change per compartment in at least 73% of cases at 1 year: in other words, there was no radiographically demonstrated worsening of the underlying OA. This is an admittedly small pilot study, with no control group, so the conclusions one can draw are limited. But I must say, I am eager to learn more about the potential for PRP in the treatment of OA and look forward to further studies coming from this group. And here’s a prediction (not hard to make): Nadal will hoist La Coupe des Mousquetaires (“The Musketeers Trophy”) in victory tomorrow. thanks for the info georg.